Head on over to Amazon where you can grab this Catit Play ‘n Scratch Cat Toy for just $4.85 (regularly $14.99) – lowest price ever! 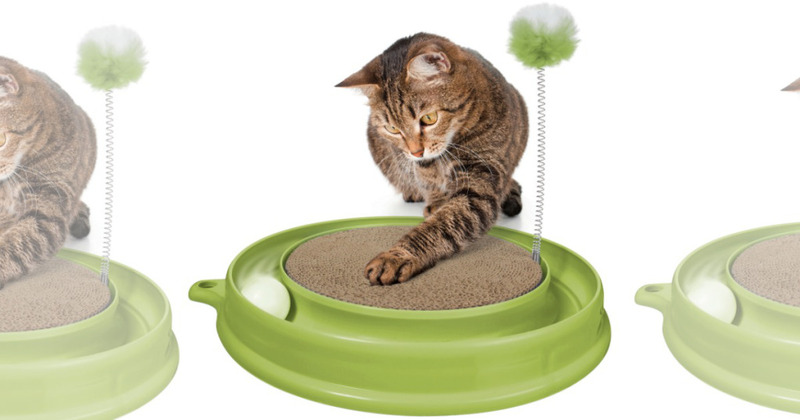 (Make sure to check the green one)This cat toy has a removable scratch pad, tracking ball and spring-mounted pom-pom ball. It is only 14 inches in diameter and can easily be placed anywhere in your home! -Fun and Stimulating 2-in-1 cat scratcher has many excellent health benefits. Please note that this is an add-on item and will ship FREE with a qualifying $25+ order.Amazon pricing changes frequently, so this deal may expire at any time.